My husband and I have owned two houses together. The first one was built in 1953 and had all of the age and none of the charm from that era in terms of the kitchen: old wooden cabinets, cheap linoleum over-top old original flooring, rusting metal sink…you get the picture. Our second house was built in 1990, and while a few of the appliances had been updated before we moved in, it still had many of the just-out-of-the-80s touches you’d expect in a kitchen from 23 years ago: dark wood cabinets with brass pulls, builder’s grade drippy faucet, cream vinyl one-piece flooring and original paint. In both cases my husband and I wanted to add some kitchen updates, but we were on a tight budget. 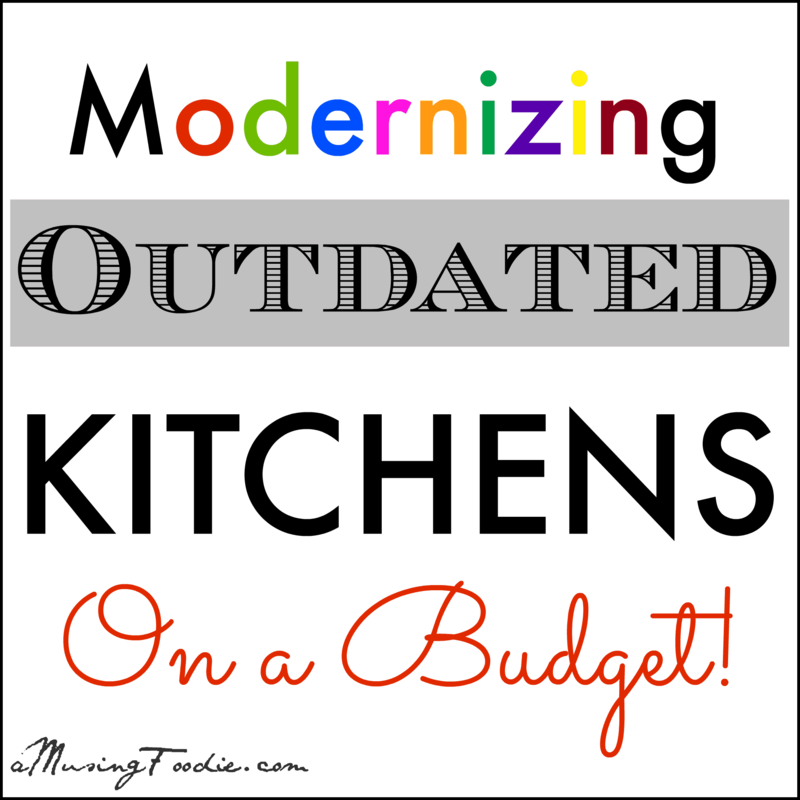 Instead of major overhauls, we used accents and accessories to modernize the outdated kitchens, and they worked well. Hopefully you can find some of these ideas as useful and budget-friendly as we have over the years! Disclosure: I am compensated for creating foodie-friendly Ideabooks for Houzz.com; however, these picks, ideas, themes and concepts are all my own!